Creeping along the cold and windy Patagonian night, a beast encircles the local Estancia. In his sites are the sheep, grazing in the dark fields, reflecting the bright moonlight against their unshorn coats. The Culpeo fox makes his approach. 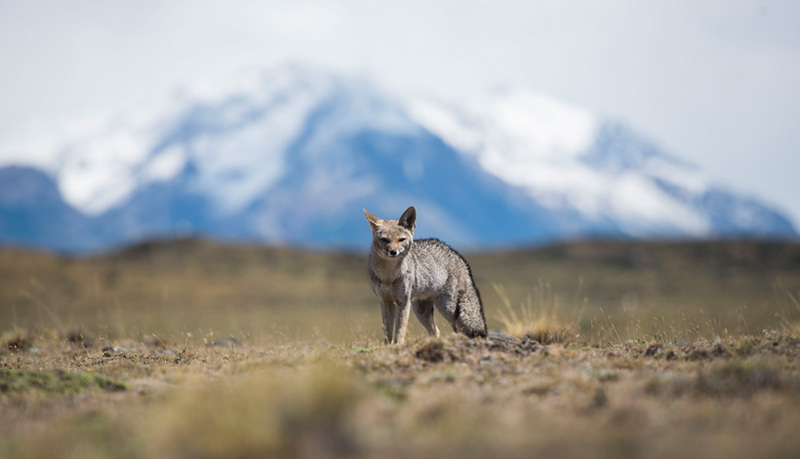 Under the night sky, the animal known to locals as “Zorro” rules the vast wilderness of Southern South America, wandering the mountains and forests of Patagonia in search of whatever prey (or fruit) it can find, often to the annoyance of local ranchers. The second largest Canid species on the continent, the Culpeo reigns supreme in this region, though he is often hard to spot. 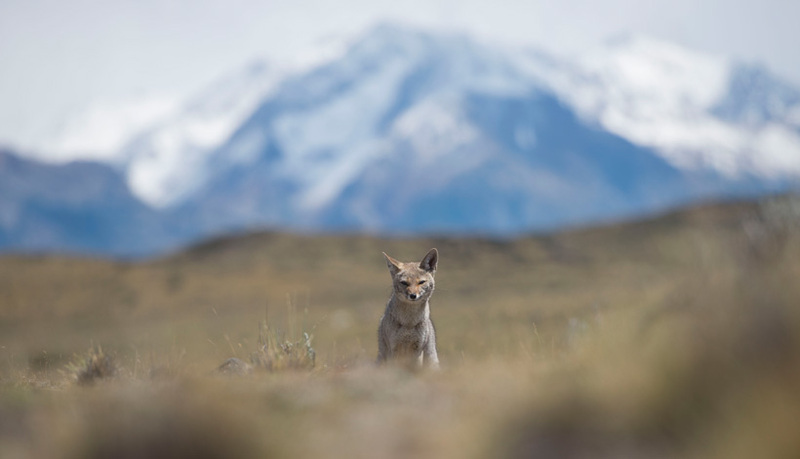 Culpeo fox in the wilderness of the Los Glaciares National Park. © Luis Balderrama Ph, 2018. The distinct color pattern of the fox leads to its disguise. A ruffled mix of both light and dark brown colors helps the Culpeo blend into the background amongst the Patagonian brush and trees. This makes the fox a great hunter, as it’s prey often fails to notice its impending movements. Male Culpeos are roughly 25lbs while the female is slightly smaller at 20lbs. Typically they roam the wilderness alone, but come the end of summer, these creatures will partner up to mate, and spend roughly half the year together and raising pups in their dens, before each family member heads their separate way when the warm weather returns. Spotted a Culpeo Fox near Helsingfors Lodge. Their habitat ranges along the western edge of South America, typically along the west side of the Andes Mountains. 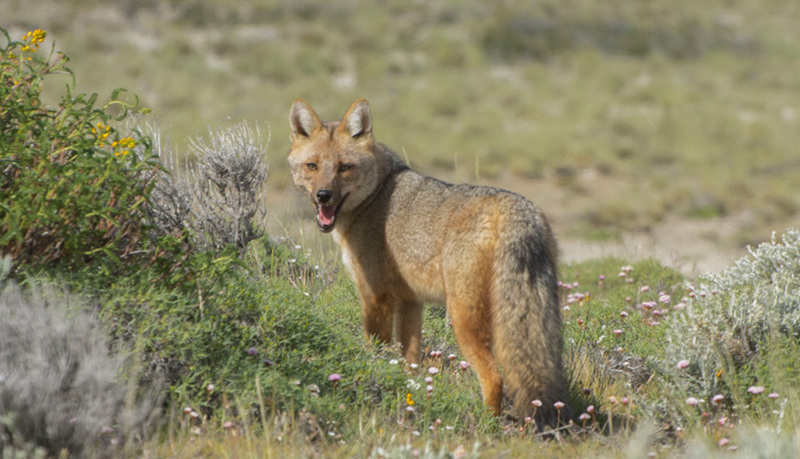 Due to its widespread diet, the Culpeo fox can persist in many different climates, including the harsh cold of Patagonia, though as far north as Ecuador. While it eats some vegetation, “Zorro” prefers meat, capturing rodents, rabbits, lizards, and sometimes even the penned-in livestock at ranches. The Hosteria Helsingfors is well positioned to enable sightings of this special hunter. Set within the Los Glaciares National Park, the lodge is surrounded mostly by wilderness, where the Culpeo Fox can wander in peace, rarely affected by people. Many guests to the Helsingfors come across Zorro while horseback riding or trekking through the vast valleys and peaks of Patagonia, so keep a close eye watch on your surroundings! Zorro could be walking alongside you!